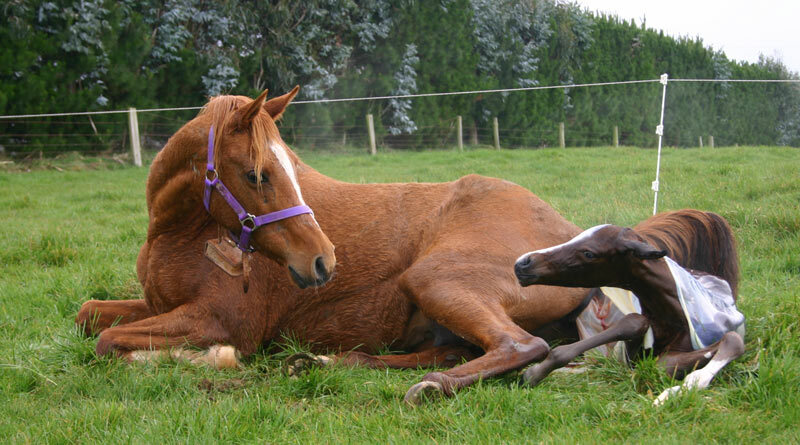 Does the neuropathogenic strain of EHV-1 increase abortion risk in mares? A mutation in equine herpesvirus-1 (EHV-1) linked to a greater likelihood of horses developing neurological disease does not appear to be linked to the virus’s ability to trigger abortions. EHV-1 is one of the main infectious causes of abortion in mares. It can also be associated with stillbirth, deaths in newborn foals, respiratory infection in young horses, and a neurological disorder called equine herpesvirus myeloencephalopathy (EHM). Researchers have found that its ability to cause neurological disease is much higher in EHV-1 strains that carry a particular mutation in the ORF30 gene. A study team from Wrocław University of Environmental and Life Sciences in Poland used molecular analysis techniques to learn more about the EHV-1 strains isolated from 27 aborted fetuses in their country. The samples had been collected between 1993 and 2017. None were found to carry the mutation in the ORF30 gene that increased the risk of neurological disease. All were found to be the non-neuropathogenic variant. Anna Karolina Matczuk and her colleagues, writing in the Virology Journal, noted that EHV-1 infections remained a major problem in horse breeding studs in Poland as well as in other European countries. “Admittedly, vaccines are available, but do not provide complete protection against abortion or EHM in mares. The authors noted the findings of two recent studies in Poland exploring EHV-1 in abortion cases. In one, the neuropathogenic variant was found in two out of 20 abortions, and in none of the 37 abortion cases in the other. In those studies, the EHV-1 strains were isolated in 2009 and 2010. “Summarizing all the analyses so far, on Polish EHV-1 sequences from years 1993 to 2017, the prevalence of the neuropathogenic genotype D752 is very low, only 3.07% [that’s two out of 67 abortions]. It seemed that non-neuropathogenic EHV-1 strains were prevalent in Poland, they wrote. To the author’s knowledge, EHM has not been described in Poland. While vets have reported isolated incidents of neurological symptoms in horses, they have not been supported by any laboratory diagnosis of EHV-1. The authors noted that recent studies suggest the neuropathogenic strains could have a selective advantage over non-neuropathogenic strains, which have increased their prevalence in horse populations. A low prevalence of the neuropathogenic strain and an absence of EHM outbreaks in Poland could be due to the late introduction of these strains in Poland, they suggested. If the neuropathogenic strains were more prevalent, this could influence quarantine rules and infectious disease management in studs, they said. The full study team comprised Anna Karolina Matczuk, Małgorzata Skarbek, Natalia Anna Jackulak and Barbara Anna Bażanów.